Taking a friend along with you when you go clothes shopping can be a mixed bag. Sure, the companionship is nice, but are you really getting honest opinions about whether the items you like are really as appealing as you think they are? 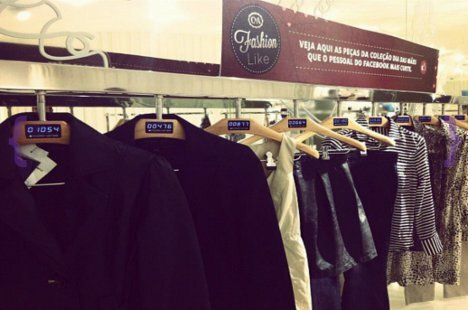 Brazilian clothing store C&A is making the public at large into your own shopping companion by putting “like counters” on their garment hangers. The idea is quite simple: when you see a C&A garment you like, whether online or in the store, you “like” that piece on the store’s Facebook page. 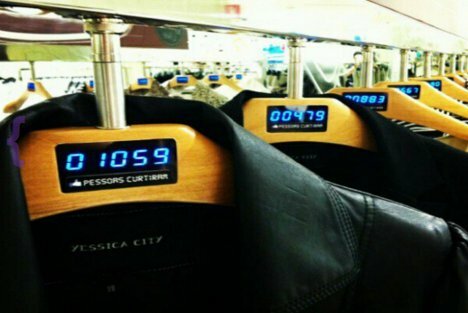 Your “like” – along with everyone else’s – is counted on the electronic hangers in the store. That way, everyone can see how many people admire that particular garment. Maybe it’s not especially useful for figuring out how an individual piece looks on you, but at least it gives you an idea of how far-out or mainstream your fashion tastes are. See more in Various Gizmos or under Gadgets. May, 2012.